Consider how important an elephants’ tusks are to them. They allow them to tear bark off trees to eat, reach down and dig up small bulbs that may be just under the ground and break big branches off to get to the leaves. But, as with all animals, there will sometimes be deformities that occur. The tusks that protrude out of the mouth are simply large, modified teeth. 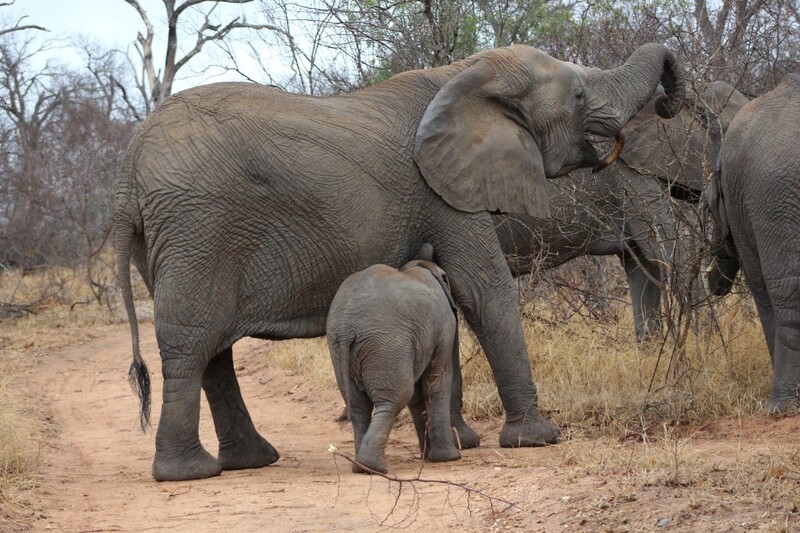 We have a female in Thornybush Game Reserve with a single tusk that has grown backwards. Something like this would affect her food-gathering abilities greatly because she cannot tear bark off during the winter period – yet she has learnt to live with it. We were lucky enough to see her tear off a branch and then start eating it. She simply put the other end of the branch on her deformed tusk allowing her to use her trunk to grab the next piece of food. 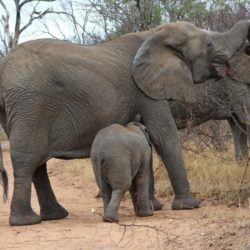 The ability these friendly giants have to adapt is amazing – it is not uncommon to see an elephant with a deformed tusk. So, even though this is not normal, this big female has shown us that she has advantages in some aspects that other elephants don’t! Next time you visit KwaMbili make sure to keep an extra eye out for our special tusker.